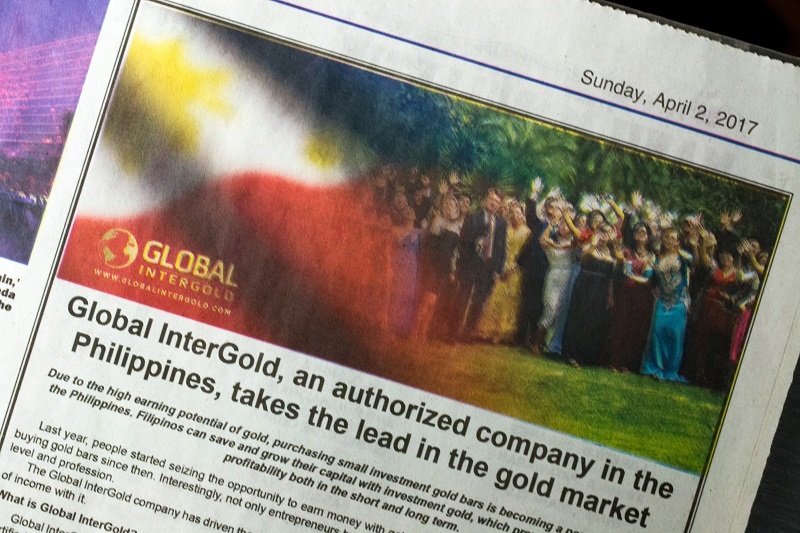 Global InterGold featured in one of the Philippines' most influential national newspapers! 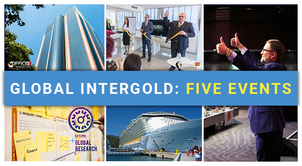 Global InterGold's business opportunities have achieved a significant impact in the Philippines, and one of the country's most acclaimed media has published an article about the company. 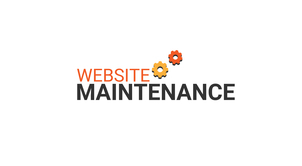 Read on and get to know about Manila Bulletin, a newspaper rich in history. 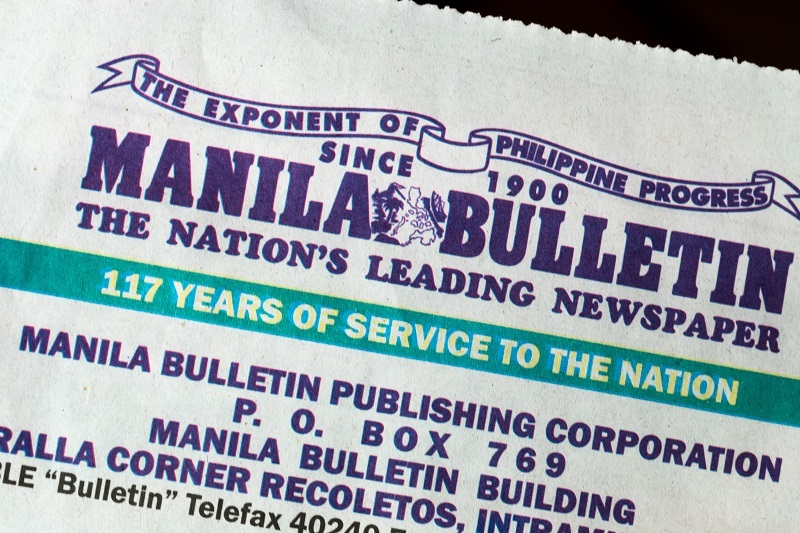 Manila Bulletin is not only one of the most widely known newspapers in the Philippines, but it also happens to be the oldest one in the country. 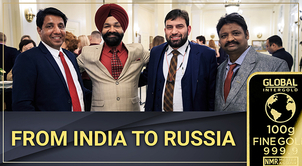 In addition to that, it is the second oldest newspaper issued in English in the Far East; currently having a leading position in the Filipino media market in terms of coverage and audience. 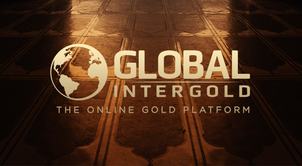 What do they say about Global InterGold? 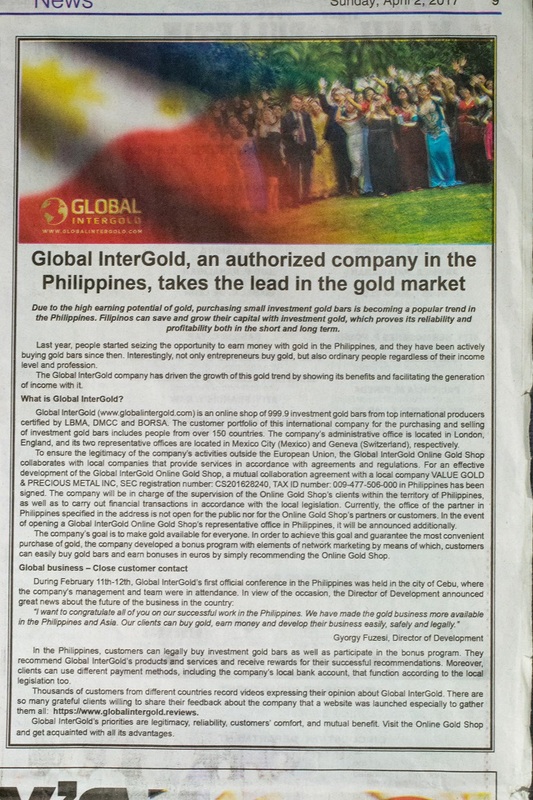 The printed version of the Manila Bulletin newspaper has recently featured an article about Global InterGold. 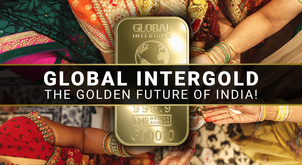 The management of the newspaper has expressed its interest in Global InterGold's gold business. 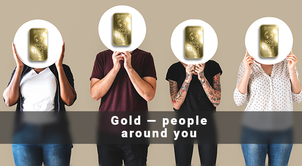 Its article includes information about the benefits of the gold business and explains how Filipinos can increase their income thanks to the yellow metal. 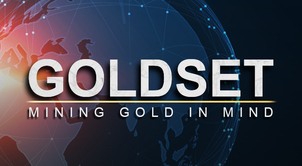 Numerous international media, portals, and blogs devote articles to Global InterGold's gold business and marketing program. 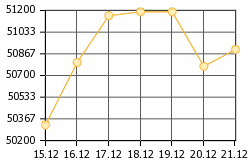 Customer's reviews are also very much present. 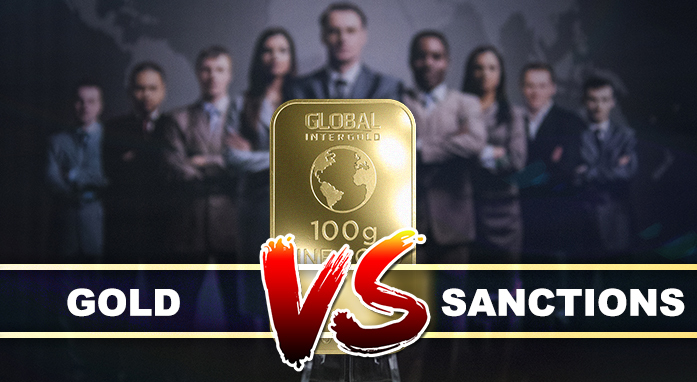 That is why Global InterGold has taken care of making the most relevant publications available from one single downloadable file. 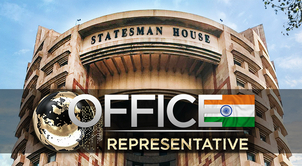 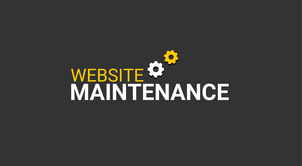 Find it at the company's official website here. 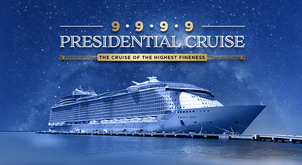 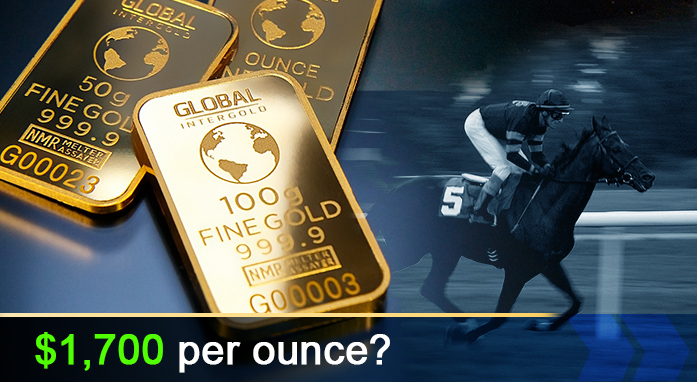 Join more than 2 million customers, make money with gold, and develop a prestigious career.